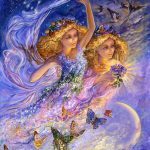 This week Mercury enters its final week in retrograde motion slowing now as it moves toward the stationary point of one degree Aquarius. It appears we’re headed for an awakening and a cathartic release of tension. An unexpected event may fuel actions we take to reconcile the gap between old beliefs that once provided a solid foundation, and new ideas that appear to be undermining all of that. 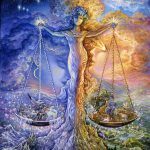 Mercury and Saturn align beautifully over the next couple days opening your mind and facilitating visions of a freer future for yourself, as more truth-based beliefs are set in place. 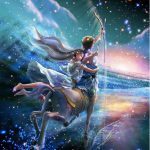 The Sun opposing Jupiter this week calls for some balance between what you promise and what you can deliver, what you create and what the community needs, expectations for a child and his need to follow his own path, energy expended developing your own talents and energy expended developing connections with others. 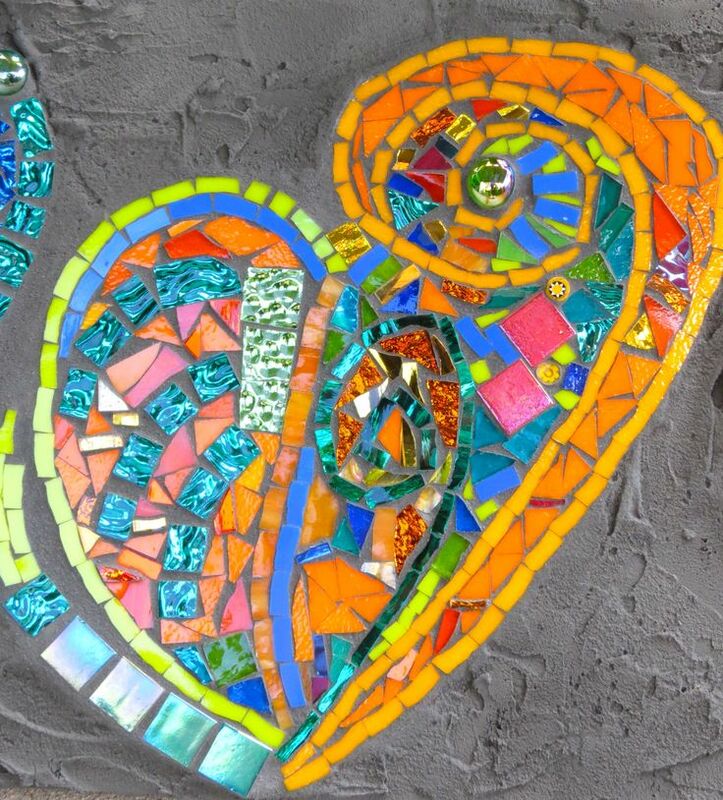 This week there is an appeal from deep within to connect your artistically inspired self with some bigger mission or worthy cause. 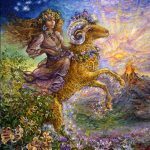 Aries wants to be effective with direct actions that leave no question about who orchestrated the outcome. It was you impressing your will on the world. But now your energy is a little more subdued, more connected with deep inner longings, more sensitive to the suffering of others, more inspired, and mysteriously guided. Paying attention to causes that stir you deeply or unmet needs that are being ignored allow you to recognize opportunities for an initiation of effort and leadership. Interestingly, personal problems that have plagued you for a long while may be put into a new perspective as a result. The indirect approach to tackling problems and advancing your own interests is often best. Indirect, compassionate actions are highly effective this week for you personally. 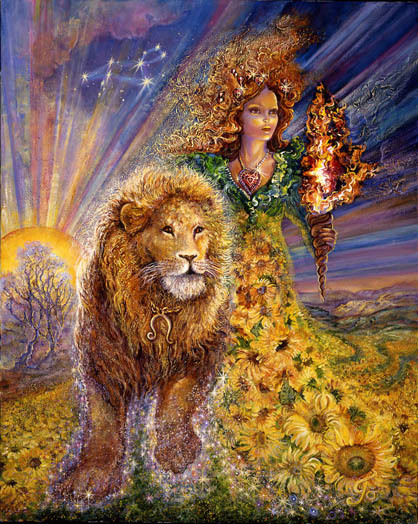 This week there’s the opportunity to transmute the vengeful, perfectionistic, resentful, dark goddess that wrecks havoc with your ability to trust love and your own wealth of competency, into something more useful. Neptune is dissolving the dark goddess’s intensity somewhat by sensitizing you to the fact that old social conditioning that encourages you to feel victimized and powerless is beginning to slip away. Now is the perfect time to step in and reconsider you true role within the community. It has something to do with your sensitivity to those who were disadvantaged in the same ways that you were. It requires a tweak in your perspective and an overhaul of your beliefs about who you are and how you were meant to express yourself in life. This week the lightbulb goes on and you realize the power you have to make a difference. This week it’s important to align your daily priorities with your overall vision for your life and future goals. This week there may be a tendency to do too much, to over promise, to broaden rather than narrow your focus, to become self involved to the point of being unable to see the big picture and your life’s vision. It’s a good idea to slow down and to remember what you want your life to be, to assess whether or not daily strategies move you in that direction, and to consider the impact of being more receptive to enlightened ideas and enlightened friends. There is the possibility that the balance between achieving outcomes and ensuring that the process remains humane, pleasurable, and sensitive to changing conditions needs a tweak. 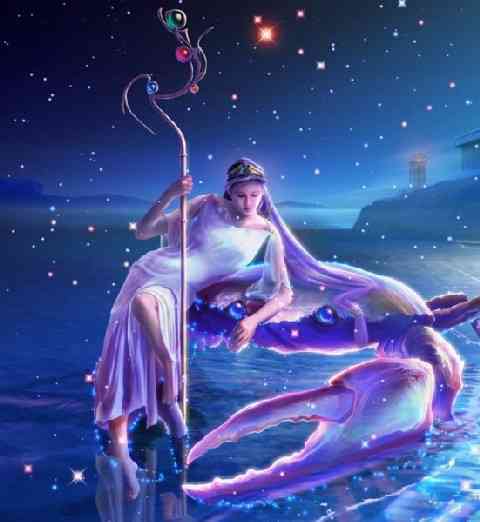 This week Cancer may be required to balance the scales between the energy they put into their own need to survive and the energy they put into honoring those who have made their life much more than just a quest for survival. Identifying those who have emotionally enriched your life, supported what you value most, inspired, activated your innate talents, and shown you the true worth of your existence is the first step. It’s time to consider ways to honor them in your own personal way, regularly, and meaningfully. If it’s someone who has passed on that may require some creativity. Honoring someone is a way of showing gratitude that brings a whole new kind of energy into your life. This week its more advantageous to lean in the direction of connecting with the inspiration behind your desire to live rather than a single minded focus on surviving – paying the bills, buying the groceries, getting to your next exercise class, or doctor’s appointment. This week Leo faces the prospect of having a cherished goal, or dream for something more exciting, go up in smoke. It may seem that another holds your fate in their hands. 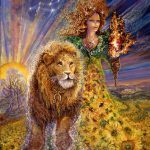 There is the dangerous possibility that you will be tempted to to give up, to let go, or wait for easier, more favorable circumstances to magically coalesce. 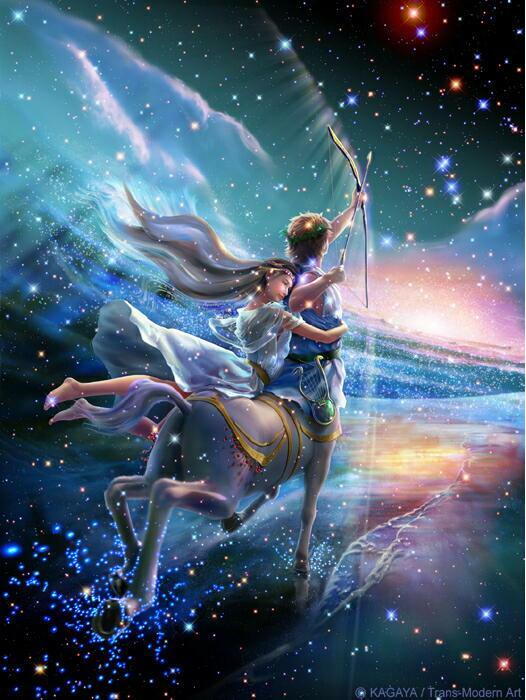 Saturn is encouraging you to work harder with a renewed sense of urgency to make your dreams come true. This week it is important to do something concrete that moves you closer to actualizing your goal. It’s time to forge ahead with sensitivity and determination. It’s important not to underestimate your power. Your creative mind is second to none when it comes to figuring out how to push through roadblocks and to refute and disarm whatever stands in your way. 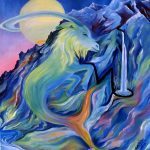 Virgo may have grown accustomed to being held back, but their determination to find a way to make it all work is now showing signs of paying off. There was much to unravel on your way to achieving successful outcomes – physical, emotional, mental, and spiritual. Perhaps there was nothing more difficult to unravel than the layers of social conditioning that made it seem more important to please another than to please yourself. But it seems you have come a long way. A sense of freedom and the authority to run your own life is emerging. Now you’re faced with many more choices. Life isn’t as simple as it once seemed, but way more exciting. Give yourself freedom to experiment with different kinds of experiences to clarify what it is you genuinely prefer. Fear of failure and perfectionistic expectations will set you back. 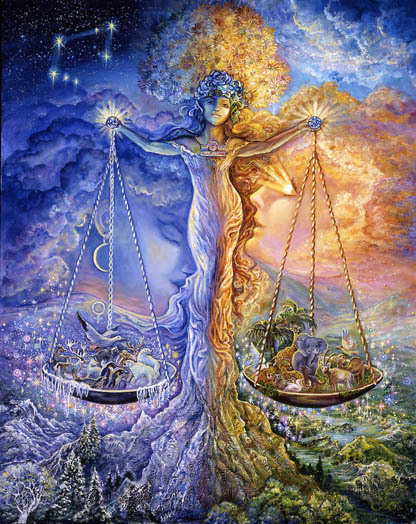 It’s tempting for Libra to become involved in the dramas of others – lives that are constantly in upheaval, attachments to the emotionally erratic and unpredictable, the unreliable, or those who simply do not prefer a settled life. 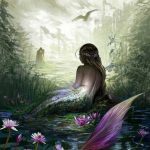 The heavy influence of Pisces in the house of personal responsibility could encourage a retreat from unraveling the less than peaceful underpinnings of your own life. This may not be serving you or others well. The dark goddess residing underground seethes resentment, anger, and the desire to make others pay for the hurt they have inflicted upon you. 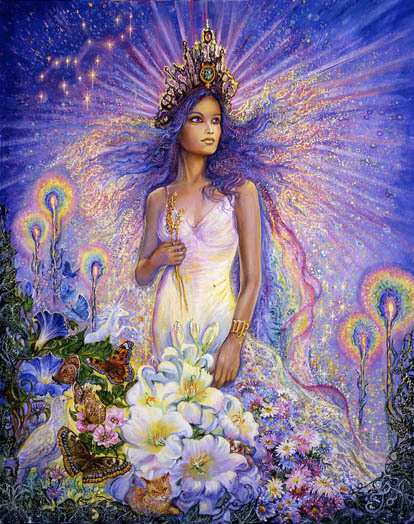 Good at keeping things chaotic the dark goddess works beneath the surface to keep the peace for which you long elusive. She’s begging for some attention, some acknowledgement, and new perspective and attitude toward the part of you that is her. It’s risky to ignore her even though you’re really good at justifying that. This week thoughts slow down and hover over areas of your life in need of detachment, a different approach, or broader perspective. There is something inherited that no longer serves you well. A belief your mother held that you’ve indiscriminately taken on as your own is one possible culprit. Your own social conditioning in general may be the problem. Maybe circumstances at home are in need of an overhaul, or confinement associated with beliefs about money, surviving, and self-worth are the issue. Whatever it is, it’s time for you to be free of it. 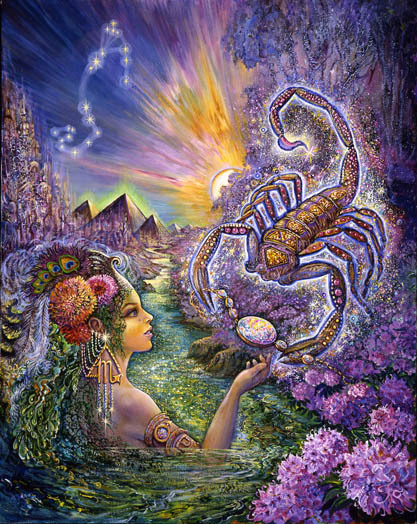 Scorpios are particularly tenacious when it comes to holding on. It seems the fear of letting go often overrides the ability to determine whether or not what you’re holding onto is actually a wise move. This week that may not be the case. Your mind is stuck in neutral for awhile giving you the chance to think and rethink the value of holding on vs letting go. Saturn is demanding the revival of your interest in taking calculated risks, believing in positive outcomes, experiencing something foreign and adventurous, and opening your mind to the possibility that you may not know as much as you think you know about the way the world works. 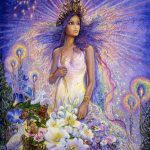 Mercury retrograde is slowing your mind down, giving you time to think and rethink the details of your approach to life – your style and the big things you’d like to initiate. Details matter. 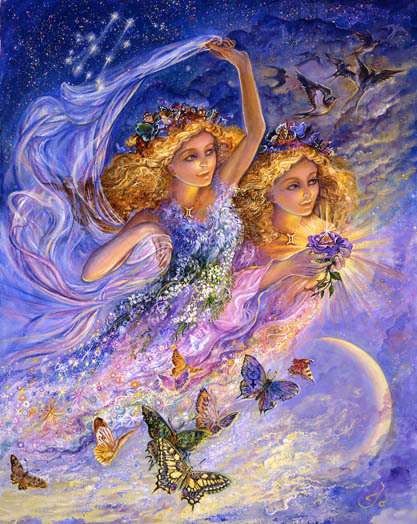 They can infuse your life with beauty and also subtle clues and mysterious guidance that guides you along your course. Your willingness to slow down and consider the “less exciting facts of the matter” this week is critical. They help you to recognize how to free yourself from old styles and approaches that have become more confining than effective. 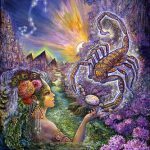 This week Mercury retrograde slows your thoughts and encourages a focus on what it is that makes something of significant worth to you. As an earth sign, most likely it has to be practically useful in some way, efficient, and effective. 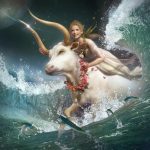 The idea of mass production undoubtedly originally sprang from a Capricorn mind, but this week you consider the value of something that is unlike all the others – something unique, possibly flawed, possibly originally determined to be useless, malformed, or mutated in some regard. You deliberately suspend your old beliefs to be able to examine, with unbiased perception, how this “anomaly” could be put to better use. And you figure it out or understand something that previously eluded you. 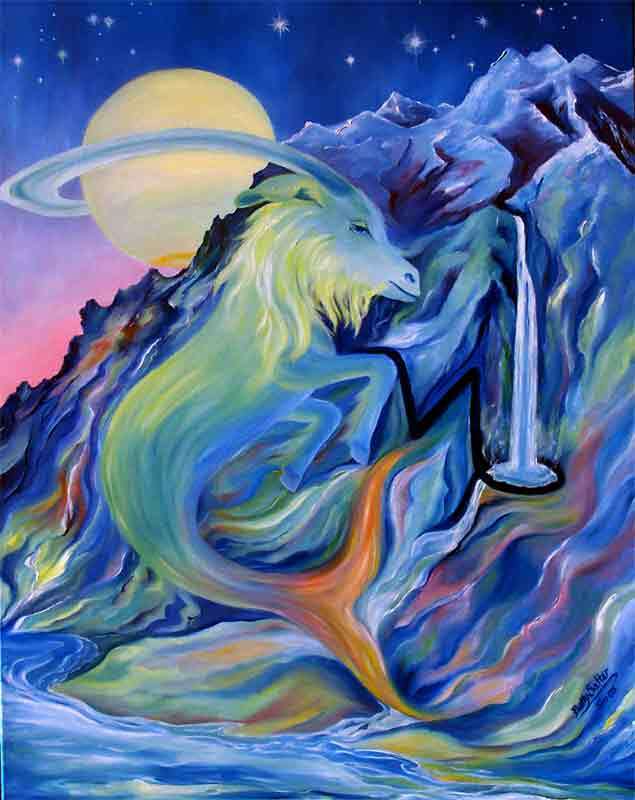 There is value in suspending belief, especially for Capricorns. It allows your inventive side to emerge. That is valuable for you and just what the world is craving. 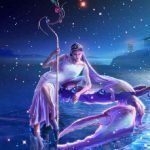 This week Aquarius is likely to experience the jolts of enlightened thought, sudden leaps in understanding, and the futuristic thought processes they are famous for. 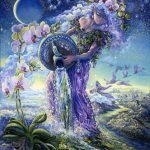 Aquarians can be taken by surprise when this happens, despite its relative frequency and be at a loss for how to use the ideas they are given in the most efficient and practical way. Aquarians are famous as well for their lack of grounding and pie-in-the-sky interests. This week there is an opportunity to reconcile sudden enlightened thought with a “feet-fully-on-the-ground” stability. Your power is magnified as a result enabling you to accomplish amazing feats through compassionate motivation. Your ability to transform something that was once a dream into concrete reality is accelerated. 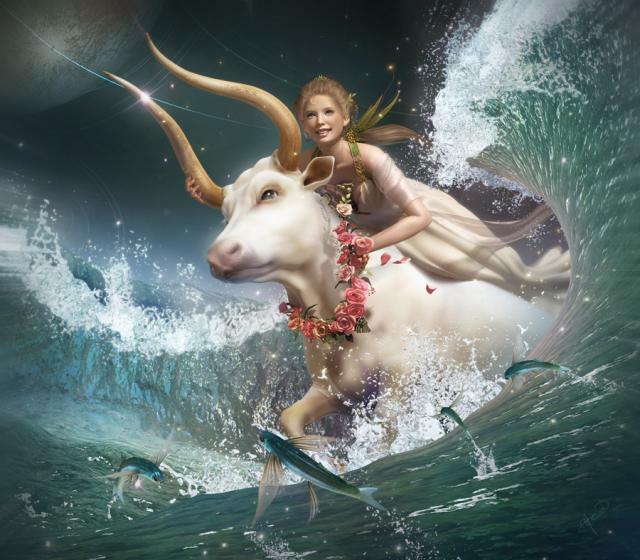 This week Pisces is somewhat magically and mysteriously able to formulate an idea that sets them free to achieve a cherished goal, to make a place for themselves in the world as a recognized authority, a respected leader, an intelligent force for good. 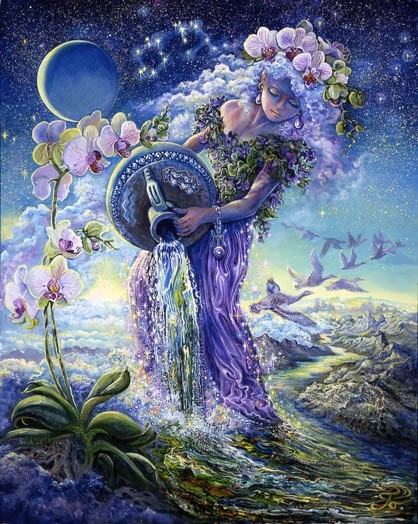 Your intelligence is derived from the natural world and natural cycles. The world is desperately in need of your contribution at this time. The nature of your contribution has been hazy up to this point, an issue that has frustrated you immensely. But something changes this week allowing for a more focused effort. Old beliefs that are willingly abandoned open the door. You may feel that it is fairly late in the game to finally feel that you know what your purpose is. But this is by design. The timing is actually perfect.